The Aspen 64" Freestanding Copper Soaking Bathtub has a beautiful fluid design that encapsulates you within soothing hammered copper that's pleasing to the touch. The Aspen provides optimum comfort through its perfectly angled sides, deep interior, and insulated double walls to ensure a long and refreshing soak. 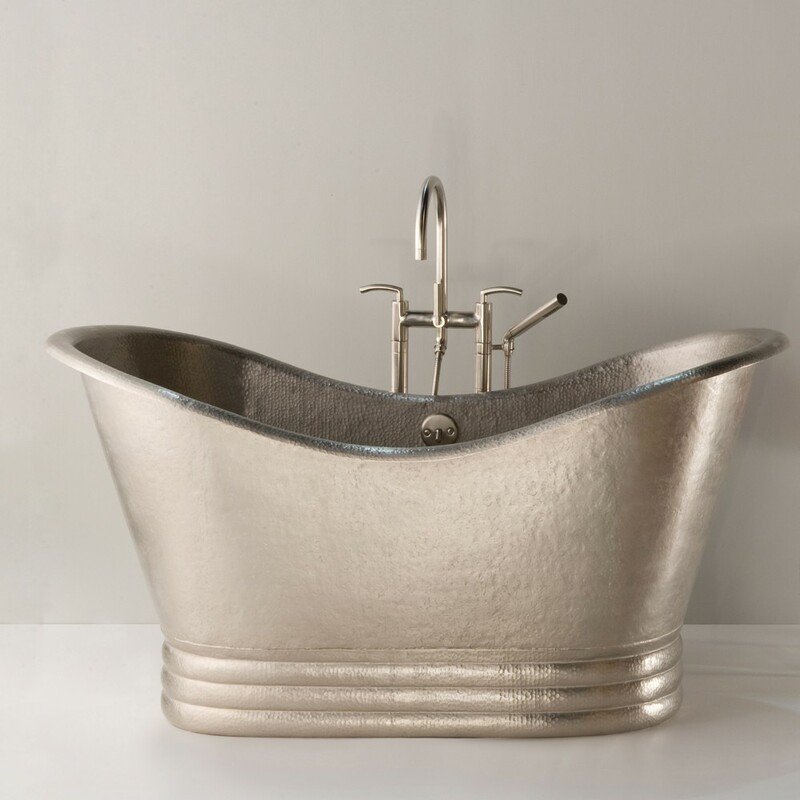 The Aspen copper tub is artisan crafted and forged of high-quality recycled copper that is easy to clean. Just rinse with mild soap and water regularly, so your tub can retain its beauty for a lifetime. Outside Dimensions: 64" x 36" x 24"
Inside Dimensions: 57" x 29" x 21"
Indulge in a relaxing respite from the craziness of the world with a long, warm soak in the Aurora 72 Hand Hammered Copper Bathtub, and let its old world elegance transport you to another time. The Aurora’s design brings comfort and visual delight. 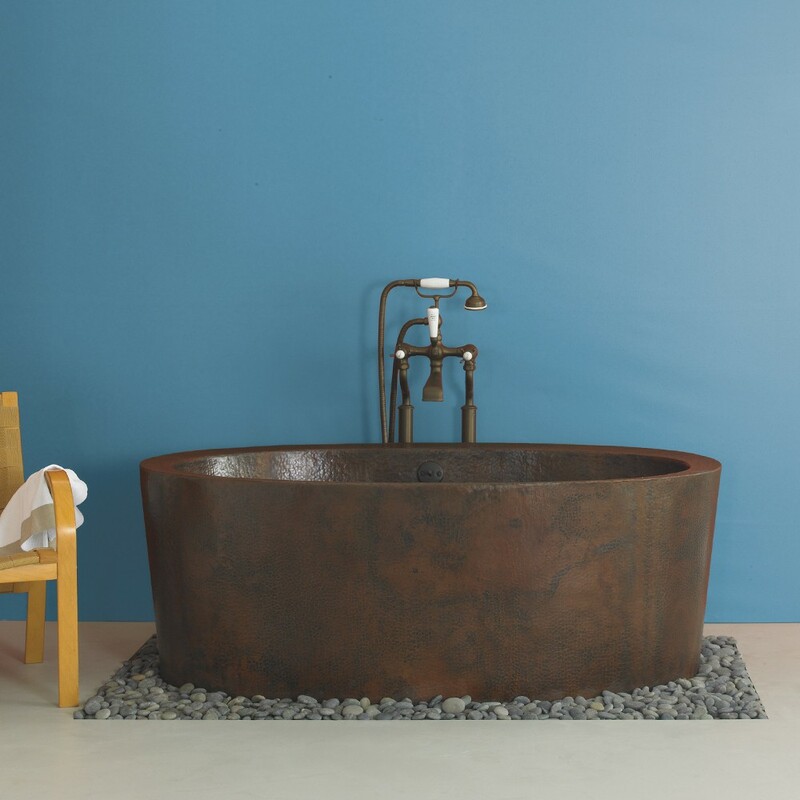 The Aurora copper tub is artisan crafted and forged of high-quality recycled copper through a process of thousands of hammer strikes to shape this truly unique beauty, and it is easy to clean. Just rinse with mild soap and water regularly, so your tub can retain its beauty for a lifetime. Outside Dimensions: 72" x 32" x 32"